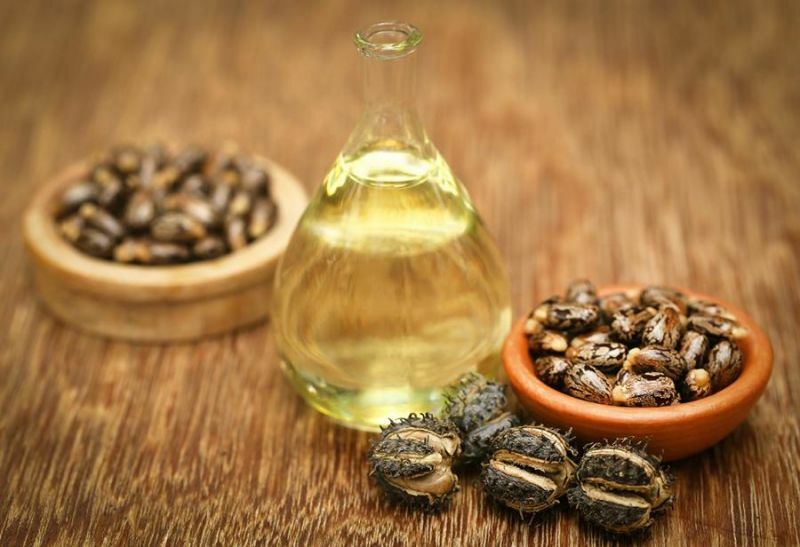 Castor seeds bold and castor oil commercial slipped at the Vashi oils and oilseeds wholesale market here today following subdued demand from soaps and shipping industries. Elsewhere, linseed oil, too, fell owing to sluggish demand from paint and allied industries. Meanwhile, groundnut oil and refined palmolein ended stable in the absence of any worthwhile buying activities. In the non-edible segment, castor seeds bold declined by Rs 15 to Rs 4,550 per 100 kg from Friday's closing level of Rs 4,565, Castor oil commercial moved down by Rs 3 to Rs 940 per 10 kg as against Rs 943 earlier and linseed oil went down by Rs 5 to Rs 940 per 10 kg compared to Rs 945 previously. Moving to edible section, groundnut oil and refined palmolein closed unchanged at Rs 920 and Rs 665 per 10 kg, respectively.